Ruth Messinger, President of the American Jewish World Service, spoke to four audiences during her visit to Indianapolis – young Jewish professionals interested in hands-on volunteerism; clergy and lay leaders from Jewish, Christian, and Muslim faith traditions; executive and civic figures; and prominent central Indiana Jewish community leaders – about her organization's humanitarian aid work. She highlighted AJWS's work across faith barriers, the need for continued attention on Darfur – the only genocide to be recognized as such by our government while still occurring – and the increasing pressures high food prices and natural disasters are placing on the world’s most underserved communities. Her organization, a non-traditional Jewish agency serving non-Jews, emphasizes support for existing indigenous grassroots social change organizations around the world. Ms. Messinger believes that the tools to fix humanity's greatest needs already exist, though they remain to be implemented, and all of AJWS’s work is informed by the Jewish principle of Tikkun Olam which calls on the faithful to help repair a broken world. 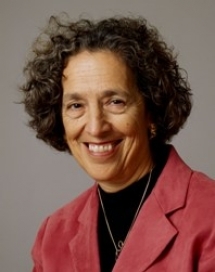 Prior to assuming the role of AJWS President in 1998, Ms. Messinger was in public service in New York City for 20 yea­rs. In honor of her tireless work to end the genocide in Darfur, Sudan, Ms. Messinger received an award from the Jewish Council for Public Affairs in February 2006. She has also been awarded the honorary degree of Doctor of Humane Letters from Hebrew Union College in 2005, and an honorary Doctor of Letters, Honoris Causa, from Hebrew College in June 2007. For the past seven years, she has been named one of the 50 most influential Jews of the year by the Forward. Ms. Messinger's visit also included an interview on WFYI Public Radio's Sound Medicine. The interview has been scheduled to air on Sunday, July 13 and will be available the next day on Sound Medicine's website as a podcast.